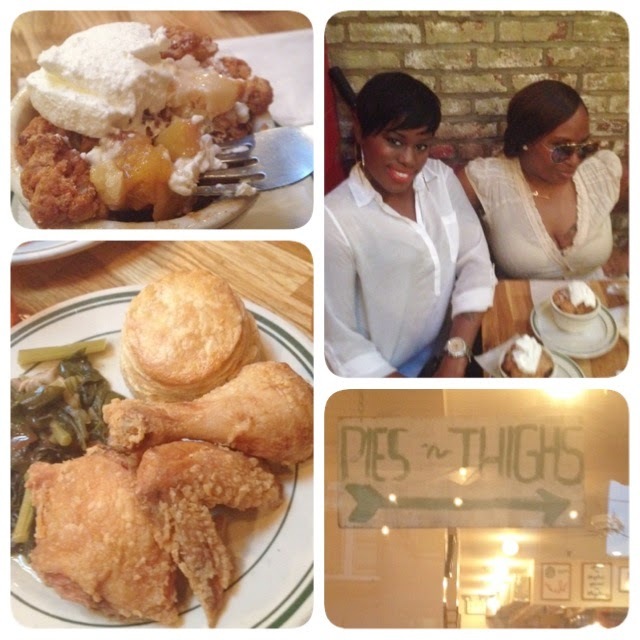 So last night (after work) me an Blogger Erica "The Glamorous Gleam" went all the way over to Brooklyn to check out NEW restaurant "Pies n' Thighs". Now don't me wrong... 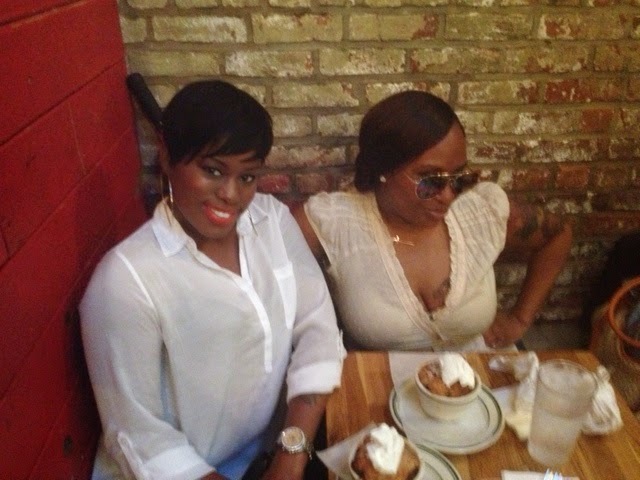 It is very tiny (from the outside) and we wanted to sit down and eat but when our waiter showed us the EXTRA room in the back I knew I was gonna get my eat ON. 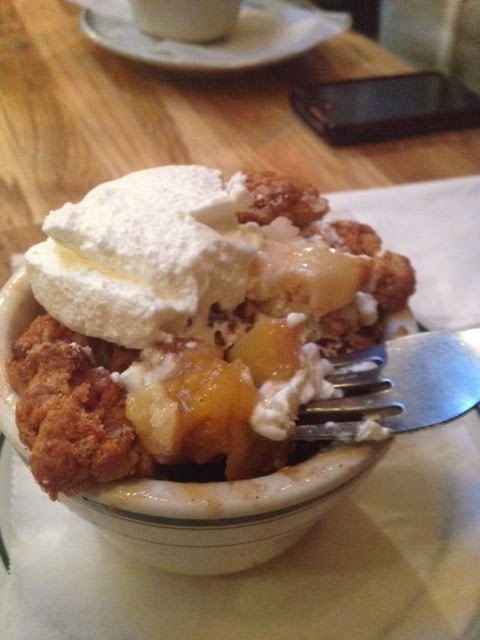 The Preach Cobbler was nice (nothing like my Grandmothers homemade peach cobbler but I won;t complain). 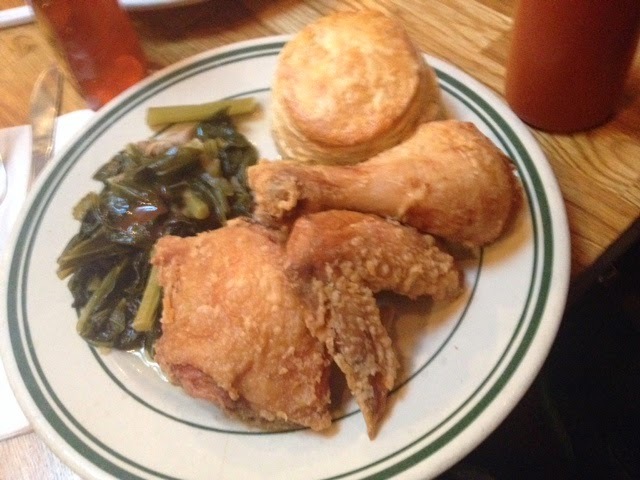 I Highly recommend Pies n' Thighs whenever your are in the Brooklyn area... Trust me you will be in LOVE.